This an addition to HopeB's and my joint project called Aubree Gear Set. 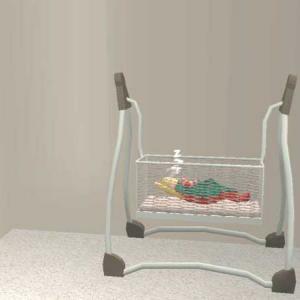 This works the same as a regular crib except it swings. It is found with regular cribs for $200. You should have an option to save the file. What do you use for a web browser? 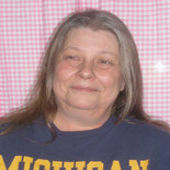 I have a comment and request. Comment: AWESOME! I HAVE BEEN LOOKING AROUND FOR THIS FOR WEEKS!!! 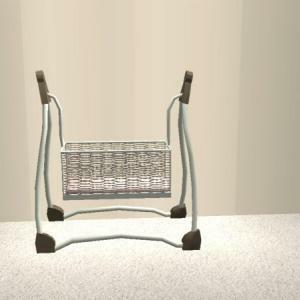 Request: Maybe you should do a little play toy for newborns where you put them in a little seat which can move and they can play the toys on there. 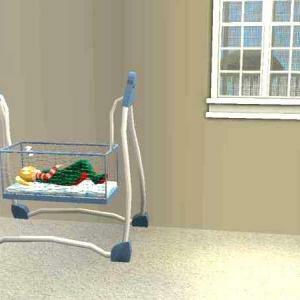 Its like that little playring where you put the kid in it. If you know what I am talking about, please make it sometime! Thanks! <language filter> this is so cute!!! Nice one rebecha! This is really cute. Even the recolours are very nice. It is most likely a setting in you IE, try changing your security settings to a low level. Great Thanks Me And My Friend Love This!! <language filter>!! I've been looking for THIS!! !! AND...FOUND IT! GOTCHA! Get google chrome, sorry but IE is no good. Goggle will download it easily.